The case is made of genuine cow lettered leather and metal frame. During the leather lettering process the individual characteristics of the animal are specifically enhanced: such as light blaze or veins in the skin texture. • Another feature of this leather is its unique tanning: leather as if doused with oil, feels soft, smooth, with a pleasant glow. The paint composition really includes natural vegetable oil! 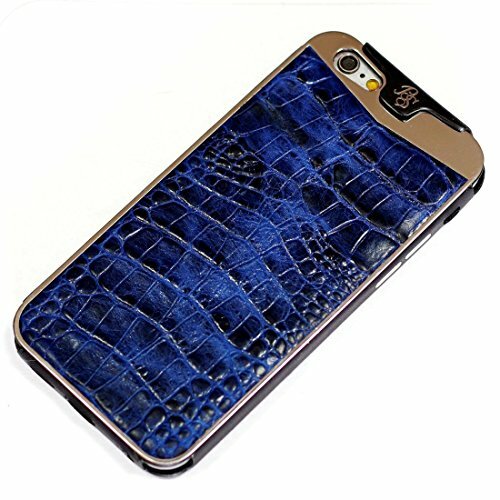 • The case is made with all technological holes. • Metal frame will keep your device protected. • Steel thickness of 600 md (0.6mm) Case for your iPhone from BestSkin - accentuate your style and make your phone unique, moreover protect it from scratches, abrasions, dust and hits. View More In Handbags & Accessories. If you have any questions about this product by BestSkin - VertuiPhoneiPad Leather cases, contact us by completing and submitting the form below. If you are looking for a specif part number, please include it with your message.